Basant Panchami is celebrated with a lot of enthusiasm and zeal by the Hindus. Basant Panchami falls on the 5th day of the spring season. Goddess Saraswati is worshipped on the occasion of Basant Panchami. Vasant Panchami which is also spelt as Basant Panchami is the festival which welcomes spring season. It is celebrated differently in different regions. It also marks the starting of preparation for Holi, which happens to be just after forty days later. Basant Panchmi is made up of two words Basant, which means spring and Panchami, which means the fifth day. It generally falls on the 5th day of spring. Basant Panchami will be celebrated on the 10th of February this year. In Odisha, Bengal and some of the North Indian states like Bihar, Rajasthan, Uttar Pradesh and Madhya Pradesh. Saraswati pooja on the day of Basant Panchami is very popular. 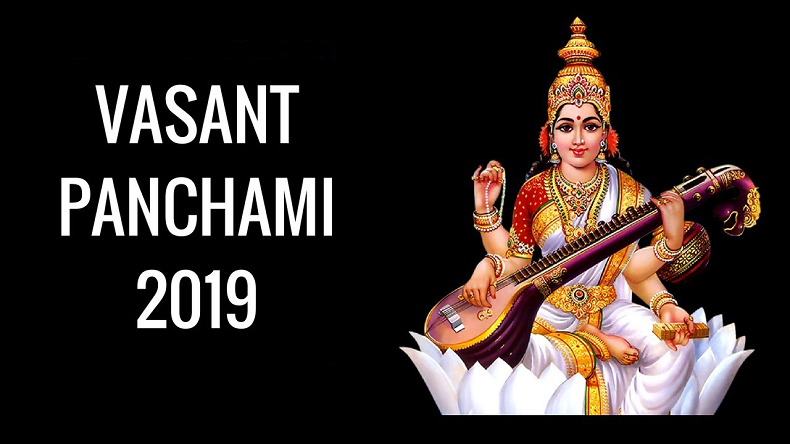 On the occasion of Basant Panchami, Hindus visit temples and worship Goddess Saraswati, who is the goddess of knowledge, music, wisdom and art in Saraswati Pooja. At the Triveni Sangam in Uttar Pradesh, people also go for a holy dip in the water. All the men, women and children dressing up in bright yellow coloured clothes. Yellow flowers are offered to Goddess Saraswati and many a festive yellow coloured dishes like boondi ke laddoo, kesari sheera, rajbhog, khichdi and more of them are prepared at homes. People also distribute sweets, organise music events, fly kites and celebrate the festival. Puja muhurata: According to the panchang, Basant Panchmi Puja Muhurata will last for 5 minutes from 12:26 PM to 12:41 PM on 10th of February. The Panchmi tithi begins at 12:25 on February 9 and will end at 2:08 pm on February 10.